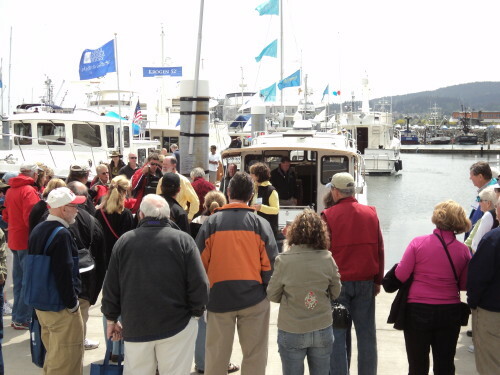 Trawler Fest Attendees Enjoy the Good Life of Coming by Boat! 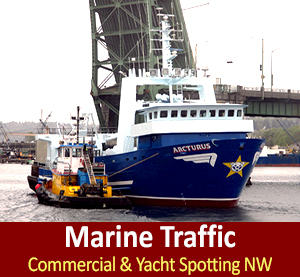 Northwest Boaters – you’re encouraged to come to Trawler Fest by boat this year! Trawler Fest has something for every cruiser, green or seasoned you will be sure to learn a lot and have a blast! By the end of the event, you will find yourself with many new maritime friends, colleagues and new cruising buddies and sea pals! A Welcome Breakfast on Thursday Morning. It will be a kick-off to Trawler Fest, includes a presentation, a speech for the Editor In Chief, John Wooldridge, Raffle prizes, & much more…. Trawler Fest University Courses: Choice one of the two-day-long courses that are fact-filled and hands-on. These University courses are held two days prior to Trawler Fest; they are designed to empower you with the skills you need to cruise safely and successfully with maximum fun factor. Make the most of this opportunity to get to know your instructors and course leaders over lunches, dinners and cocktails hours – just because the course if over doesn’t mean you still don’t have access to gain knowledge from NW instructors, seasoned captains and couples who have sea story adventures – and their still together today to talk about. 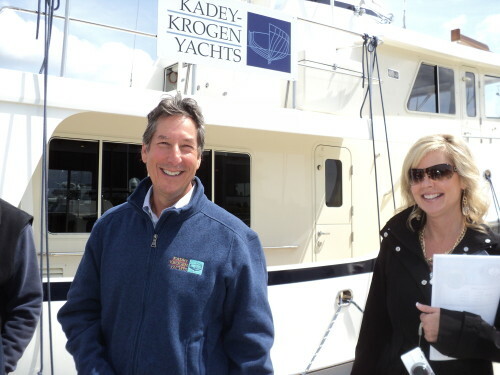 Seminars: Presented by experts in the marine industry and seasoned cruisers with experiences to share, educate and teach the techniques to be a self-sufficient, well-informed boater, and familiarize yourself with new cruising grounds. 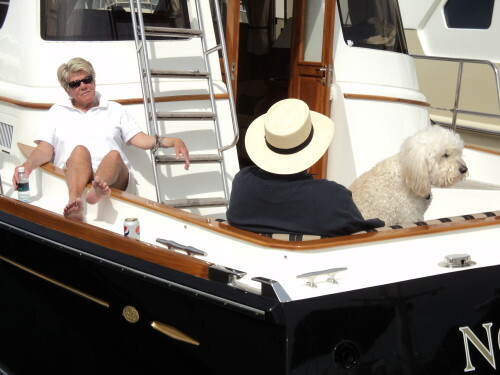 All the seminars are educational, inspiring, and very entertaining – you will be inspired to stretch your sea legs. Afternoon Demonstrations: Enjoy these informal, fun, and exciting afternoon interactive activities. 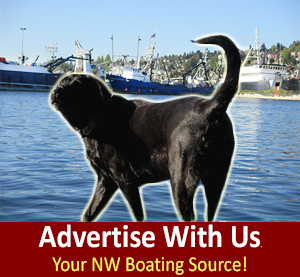 Be immersed in the exploration of NW nature, technical achievement, and adventure of boating. High Fun Factor Social Activities – AKA: Trawler Fest is Camp for Boaters: Trawler Fest provides an endless amount of resources through seminars and exhibits; they also sure has heck = encourage the social aspects of cruising. The events includes roundtable discussions, a welcome breakfast, lunches, dinners, cocktail parties, and evening activities, all of which help grow the cruiser enthusiast community. Whether you are a novice or an experienced boater, you will have the opportunity to ask questions and share endless sea stories. Trawler Fest provides you an avenue to meet other cruisers, make new friends that love the sea, talk with professionals, and relax in a different boat show environment – boaters get your tail up or down to Trawler Fest this May. 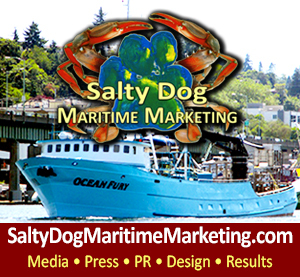 Salty Dog Boating News- The Salty Dog Boating News: looks forward to seeing you dockside in May, lets Wooohoooo it up at another Trawler Fest! 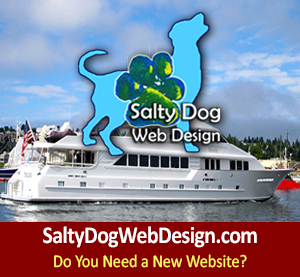 See you in Anacortes – come by boat!